It’s best to cut them “the long way” to get delicious looking sweet potato fries. Try to get them into reasonable sized meaty wedges. Try to get them into reasonable sized meaty wedges. 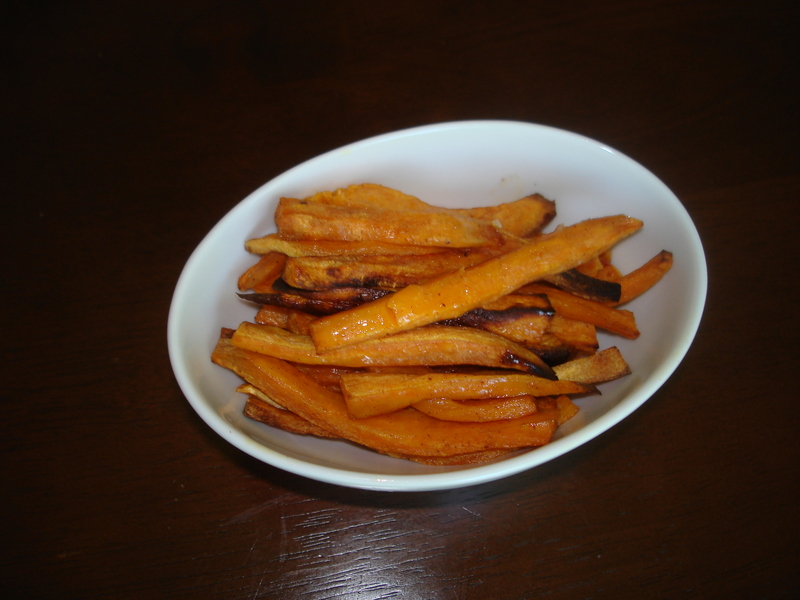 Place the cut up sweet potato into a large bowl and add two tablespoons of vegetable oil, a teaspoon of garlic powder, half a teaspoon of paprika and a dash of salt and pepper.... It’s best to cut them “the long way” to get delicious looking sweet potato fries. Try to get them into reasonable sized meaty wedges. Try to get them into reasonable sized meaty wedges. Place the cut up sweet potato into a large bowl and add two tablespoons of vegetable oil, a teaspoon of garlic powder, half a teaspoon of paprika and a dash of salt and pepper. How To Freeze Your Own French Fries Cooking Lessons from The Kitchn Peel the potatoes, if desired. Cut the potatoes into 1/2-inch-thick sticks or your desired thickness. Blanch: Bring the water and salt to a boil over medium-high heat in a large pot. Add 1/4 of the potatoes and cook for 2 minutes. While the potatoes …... Slice the sweet potatoes lengthwise into French fry shapes, or push them through a French fry cutter, if you want them to be more uniform. Step 3 Soak the sliced fries in ice water while you fill the deep fryer about halfway full of canola or vegetable oil and bring the heat up to 375 degrees Fahrenheit. For french fries, cut the potato vertically every half inch or so. You can make them thicker, but thick things take longer to cook. Don’t make ’em thinner, else they’ll just burn up. For home fries, cut the potato vertically every inch or so. 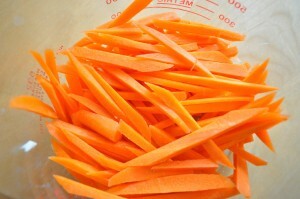 how to clean up windows backup files in windows 7 For french fries, cut the potato vertically every half inch or so. You can make them thicker, but thick things take longer to cook. Don’t make ’em thinner, else they’ll just burn up. For home fries, cut the potato vertically every inch or so. Slice the sweet potatoes lengthwise into French fry shapes, or push them through a French fry cutter, if you want them to be more uniform. Step 3 Soak the sliced fries in ice water while you fill the deep fryer about halfway full of canola or vegetable oil and bring the heat up to 375 degrees Fahrenheit. Although the restaurant version used white, baking potatoes, I chose sweet potatoes. I cut my potatoes with my Mandolin into thin cut french fries. I soaked them in water for approximately an hour, and then I drained them.